Renew and refresh holistically through all five senses as you enter into your own SpaZen Moment. SpaZen’s comprehensive services consist of massage modalities, facials, wellness rituals, body treatments, nailcare, hair removal services, finishing touches, group packages, and retreats. In addition, the menu features signature rituals and customized enhancements that complement each core treatment, allowing guests to create their own SpaZen experience and maximize the benefits of their visit. Located in the heart of downtown Toronto, in the Executive Hotel Cosmopolitan, SpaZen Spa aims to offer the ultimate in health and wellness offerings. Guest experience is SpaZen’s top priority, and it appreciates that each guest has individual health and wellness needs. SpaZen’s team of specialists helps guests design a personalized spa visit that caters to all of their wellness and skin-care requests. Local Toronto residents can inquire about value-added packages and series offers for their favorite services. SpaZen Spa at the Executive Hotel Cosmopolitan offers 1,500 square feet of Zen relaxation space, including a glass-enclosed solarium inspired by Japanese gardens, a Jacuzzi, and five treatment rooms. SpaZen, inspired by the Japanese word for nature, mesmerizes guests with an elegant design palette that features Brazilian walnut flooring and a solarium boasting floor-to-ceiling windows, admitting abundant natural light. 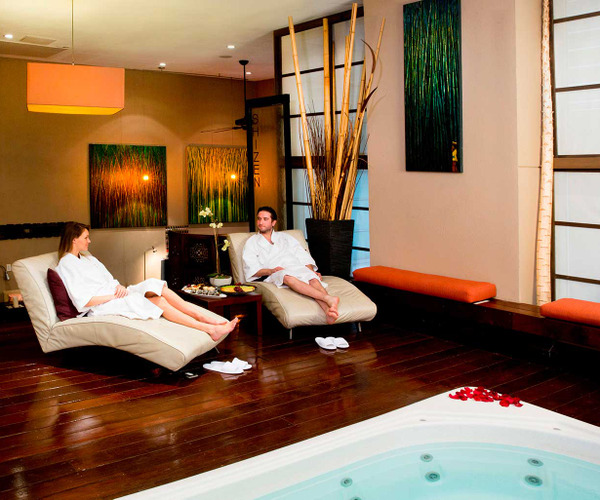 Treatments, utilizing Guinot, Phytomer, and Spa Ritual product lines, spotlight a distinctive fusion of Eastern and Western healing philosophies and are performed in five private spa suites, two of which accommodate couples. Indulgent staples include the Satin Shimmer Scrub, Oxygen Infusion Facial, and Relaxation Massage. Signature Retreats begin with the SpaZen Jasmine & Green Tea Hand Wash and Foot Bathing Ritual. 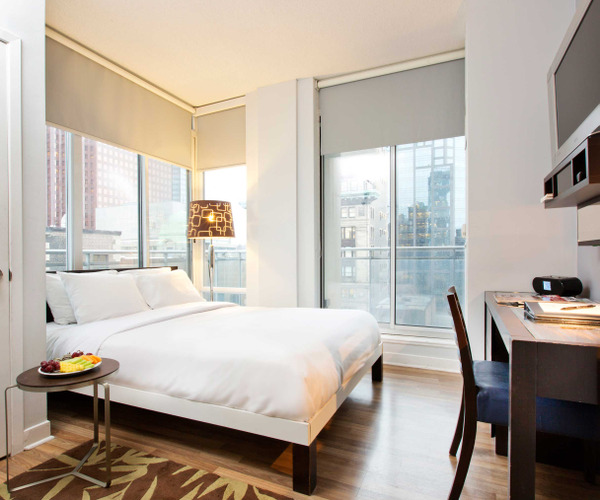 Guests will enjoy Executive Hotel Cosmopolitan’s superb location in the center of downtown Toronto. Visitors are within walking distance of Bay and King Streets, the heart of the city’s financial district, as well as Yonge-Dundas Square, a Times Square-esque public area filled with video screens, fountains, boutique stores, and regularly scheduled events. Trips to attractions like the CN Tower are a must, as is a visit to King and Yonge Streets, lined with galleries, restaurants, and shops, including the indoor Eaton Centre mall; landmarks such as the Ed Mirvish, Elgin, and Winter Garden theaters are located on the east side of Yonge Street. Cultural enthusiasts will appreciate the near proximity to the St. Lawrence Market and the Royal Alexandra Theater. The 65 condo-inspired suites are designed to encourage a stylish yet comfortable stay. Every guest room is accessorized with a yoga mat, ergonomic furniture, and 400-thread-count, Egyptian-cotton linens. Other accommodation accoutrements include floor-to-ceiling windows, private or Juliet balconies, European kitchenettes, and laundry facilities. Wildfire Steakhouse and Wine Bar delights guests’ taste buds with decadent dishes accompanied by an expansive wine list. Grilled steaks highlight the restaurant’s house-blended spices, and savory starters and entrées like Escargot Provencal, Pesto Pasta, and Wild Mushroom Risotto emphasize market-fresh ingredients.